If you’re considering swapping your current lecture capture platform for a new solution, you’re in good company. 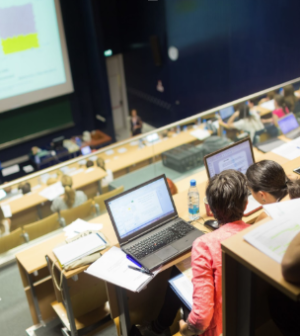 Stetson University, Clemson University, St. John Fisher College, West Texas A&M University and Education University Hong Kong are just a sample of schools who have all switched to Ensemble Video from another lecture capture platform. Why did they choose to make the switch? They each decided Ensemble Studio, Ensemble Video’s lecture capture solution, was a better choice for several reasons including high-touch support, flexibility, the platform’s value based on investment and more. Our customers appreciate that no matter what hardware they want to use, how and where users want to view videos or how videos need to be secured, Ensemble will suit their needs. “By moving to Ensemble we wouldn’t be tied to an “only-works-with” appliance. We now have the flexibility to re-purpose the Matrox LCS appliances for other use cases if our classroom hardware requirements change in the future,” said Matthew Miller, Media Application Specialist for St. John Fisher College. Time and time again, Ensemble Video customers note that our approach to customer service and support is one of their favorite things about working with us. The level of attentiveness and care shown in the demo and decision-making processes helps Ensemble stand out against video platform competitors. Many educational institutions also choose to switch to Ensemble Studio, Ensemble Video’s lecture capture tool, for its user-friendly video playlist and library organization, a wide selection of hosting options and unmatched value. Video library organization: Ensemble Video’s flexible, customizable video organization capabilities create a seamless, user-friendly experience for both video managers and viewers. 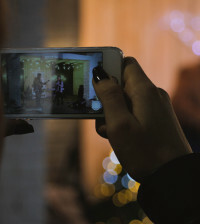 Choice of self-hosting, cloud-hosting or hybrid-hosting: Depending on your university’s security needs or available equipment, you may choose to host your videos on premise or in the cloud. 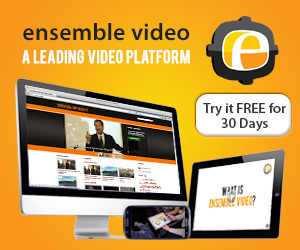 With Ensemble Video, you can host your video content however suits you best. 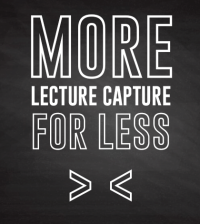 Unmatched value: No other video platform provides a combination of lecture capture capabilities, white glove service and security features for the same budget-friendly pricing as Ensemble Video. Download our Stetson University case study to learn more about how one university that made the switch to Ensemble uses our platform to their advantage. If you’re ready to see what Ensemble Video can do for your university, Schedule a demo or request a trial with our team now.